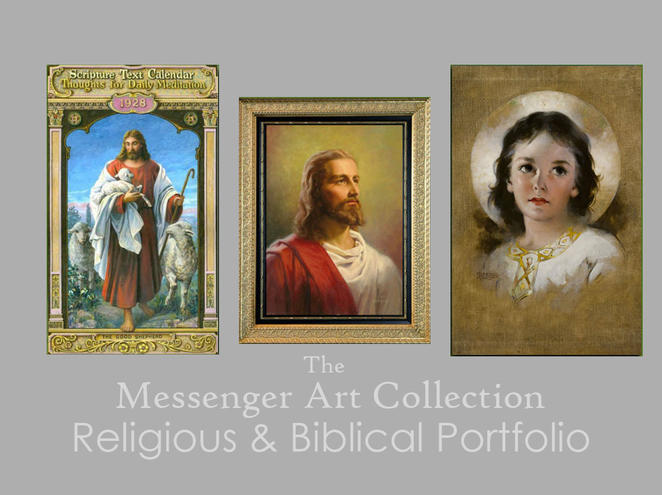 Begun in 1913 by Frank Messenger, a massive and stunning collection of biblical and religious art was primarily used to produce calendars, prayer cards and other printed materials. As the collection grew over the century, it now contains more than 6000 pieces of art that conprise many genres. Contact us to schedule an appointment for a private viewing.